A Woman President- Today marks a historical moment. Laura Chinchilla was elected president last night by carrying nearly 50% of the vote. Costa Rica has the highest concentration of women in office on the planet, currently at about 40%. The government is suggesting that the number should be 50/50 and are working to do so. Costa Rica also has term limits of 4 years for a President. They can run again but must sit out at least a four year term before being eligible to run again. This was Oscar Arias's second term in office. 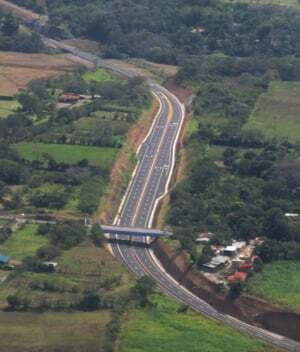 The final Section of The Caldera - San Jose, Costa Rica Highway is now open! Dreams of Highways - What was once a dream in the eyes of the administration of Rodrigo Carazo Odio, President of Costa Rica back in 1979 when the first plans for the Caldera Highway were conceived, is soon to become reality. Over 30 years ago the Caldera Highway project was initially planned. Work did not begin on the project for many more years, grinding to a halt about 10 years ago after it was discovered that the government had not yet expropriated all the land needed to build the road. About three years ago, President Oscar Arias got the project back on track. Why is everyone relocating to Costa Rica? Okay I admit it, I'm really busy these days. I leave tomorrow for Costa Rica to lead our 4 day Discovery tour running December 31 - January 3rd which is immediately followed by our 10 day country and property tour running January 4th - 13th. In the meantime, International Living did another article about our developments so I've also had to answer hundreds of emails. I am not complaining. So here, for the last entry into our blog for 2009, is our UPDATED slide show. We've worked over the last week to get it finished since our new video is not yet done. Take a moment to view the show, I think you will enjoy it. When you are finished, please comment about it via Digg, Delicious or Twitter. We thank you all for your loyal support this year and hope 2010 is a great one for all of you. Although President Oscar Arias signed the order to build the new international airport in the Southern Zone almost two years ago, not much has happened since. We keep checking around Palmar Sur, stopping at the airport there now and asking questions about when to expect the new airport. Recently the staff at the existing airport seemed excited when I asked again.